(AEL) all accented with 3mm matching “Super Edges”. • Box and file drawers feature full extension ball bearing drawer slides. • Lateral files come equipped with a mechanical safety interlock. 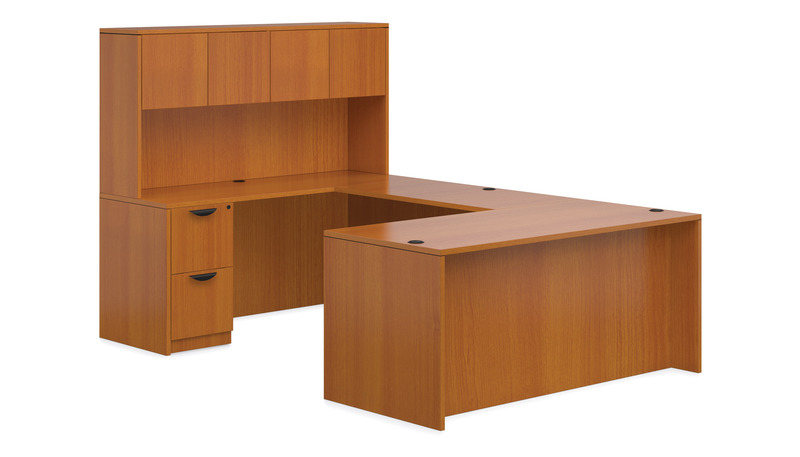 • Pedestals, lateral files + multi-storage files are designed to connect to the appropriate desk, credenza + return shells. • Metal pins + cam fasteners are designed for easy assembly. Metal brackets are also included for additional strength and rigidity. • American Espresso (AEL) standard with silver handles. Black handle optional (an upcharge applies).